A great point of sale (POS) system is really good at ringing up the sales but in the past, smaller retailers have sometimes missed out, not having the cash to invest in a system. Thanks to the good people at Pose, however, POS will now be available to all! 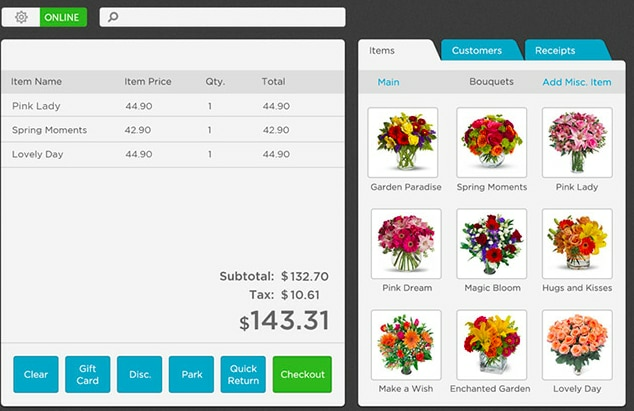 They have opened up POS to small retailers everywhere with an affordable end-to-end POS solution that lets them manage their stores more effectively, sell more, and build a stronger relationship with their customers. Pose customers include florists, jewellery stores, automotive retailers, mobile phone shops, and more than 3000 companies in 100 countries. It’s pretty easy on the eyes too! See your store items in large, beautiful and customisable icons. Who says a cash register can’t be pretty? So why should you choose Pose? It’s cloud-based, so you’re free to access your POS on any system, anywhere. Mac laptop, iPad and Android phone? All good. Take your customer’s payments no matter where or when. With one click of a button, all transaction and customer data is synchronised between Pose and Intuit QuickBooks Online! Pose offers a FREE 30-day trial of their complete offering right here. Pose is typically $50/month for the first station and $19 a month for each additional station. And there’s more good stuff where this comes from! Don’t forget to check out our add-ons page for the full list of applications that integrate with QuickBooks Online. Ps. Apologies to Madonna for the headline. It had to be done.